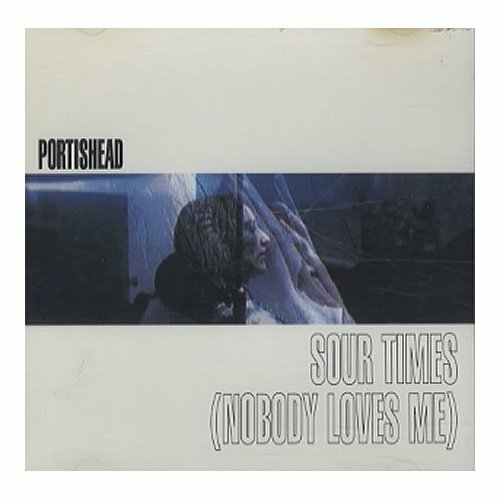 My So-Called Soundtrack: My Part-Time Cover: "Sour Times"
My Part-Time Cover: "Sour Times"
When I was first introduced to the unique soundscape of Portishead back in the mid-90’s via my much loved and oft-mentioned 99X, I remember having a few questions. One, where can I get a little more of this loungey, female-led, real guitar and bass with electronic drum loop goodness? Two, what is this “trip hop” the deejay keeps talking about? Three, is it okay for me to dig “real bands” (meaning they used “real instruments” ) like Nirvana and Rancid… AND this type of music with its programmed, synthetic beats? Lucky for me, the answers came pretty easy. For one, I found similar vibes in bands like Ruby (“Paraffin” is still such a killer song), PJ Harvey (To Bring You My Love is still such a killer album), Angelfish (Shirley Manson’s pre-Garbage band) and Sneaker Pimps (they totally won me over with their Lego cover art for the “6 Underground” single). For two, the deejay in question (Yvonne Monet for those playing along at home) did her best to fill her various shows (The Beat Factory and The Pleasuredome) with all the dancey, electro thumpers coming out of the UK to keep us suburbanites in the loop. For three, well contrary to what my middle school cliques would’ve had me believe, you absolutely can listen to anything and everything you enjoy without wholly accepting some genres and wholly dismissing others. 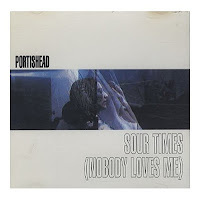 So, back to Portishead… throughout 1994-1995, 99X played “Sour Times” like the station manager had written it himself. I ended up picking up their debut album Dummy and their Glory Times EP, a cool release that had all the B-sides from their “Sour Times” and “Glory Box” singles. Portishead kinda did the standard 90’s “success equals disappearance” routine and I never really picked back up with them when they released their self-titled album a few years later. However, I can still listen to Dummy all the way through and get lost in its creativity and spaciousness. It’s no secret that The Civil Wars are no slouches when it comes to pulling off amazing cover songs. I’ve seen them cover Sade, Leonard Cohen, Michael Jackson (both solo and with The Jackson Five) and The Romantics in person and their version of “Disarm” by The Smashing Pumpkins is awesomely solid as well. For their current tour of the UK, they’ve added a great cover of Portishead’s “Sour Times” to their repertoire to gain some addition love from those cheeky Brit crowds. As if they needed anything extra! Back in October, they recorded a little DIY, guerilla style video for it in a London alley and even with the lo-fi audio, it sounds incredibly cool. Word on the street is that they’re going to release their cover of “Sour Times” as the B-side to their “Billie Jean” 7” single for Record Store Day this year. The Civil Wars… covering Portishead and Michael Jackson… on vinyl? Man, I’m no good at math but those factors equal out to absolute perfection in my book.